ACCESS Academy Elementary School in NE Portland had their first annual Create Celebration in 2010, an arts fair along with live entertainment. The video clip is an example of how I worked the evening with live entertainment and announcements. For several years I was the emcee of the Hidden Talent Show at Fernwood Middle School (now Beverly Cleary School). Though the video is somewhat fuzzy you’ll get a feel of what I brought to the event. This video shows me with the couples group back a few years ago at Eagle Crest Resort, where I helped give away prizes that eventually lead into dancing. 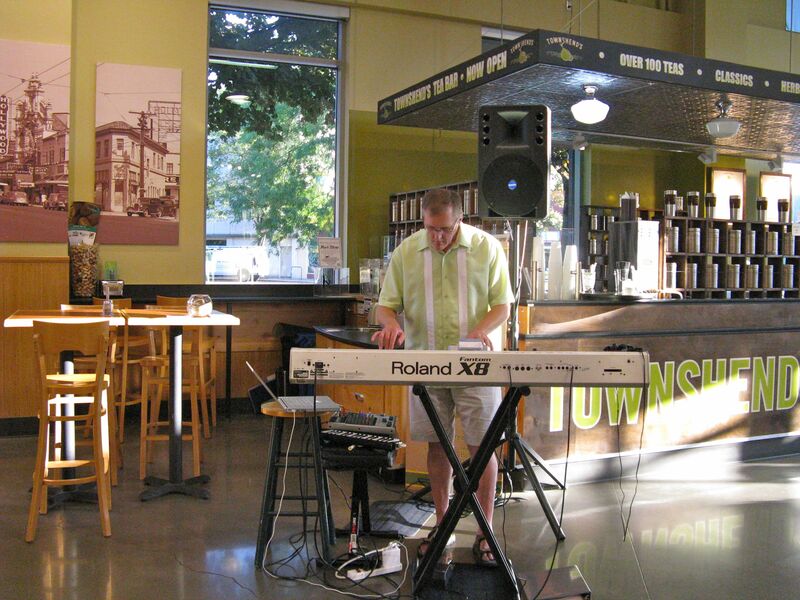 Performing at Whole Foods and with pop songs as a duo. Here’s I’m performing at a Garden Party with background casual pop influenced smooth jazz keyboard. 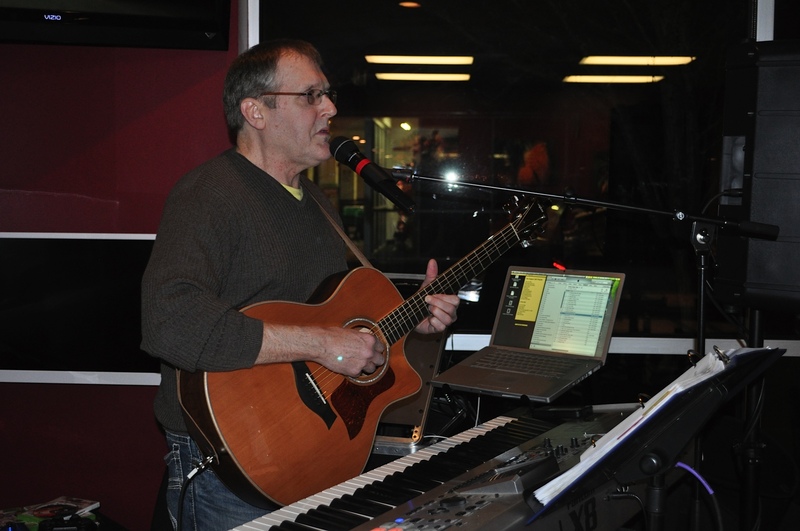 Whether playing keyboard, guitar, emceeing, or all three, I can add the right atmosphere to any corporate, private, or business event. Whole Foods in NE Portland. 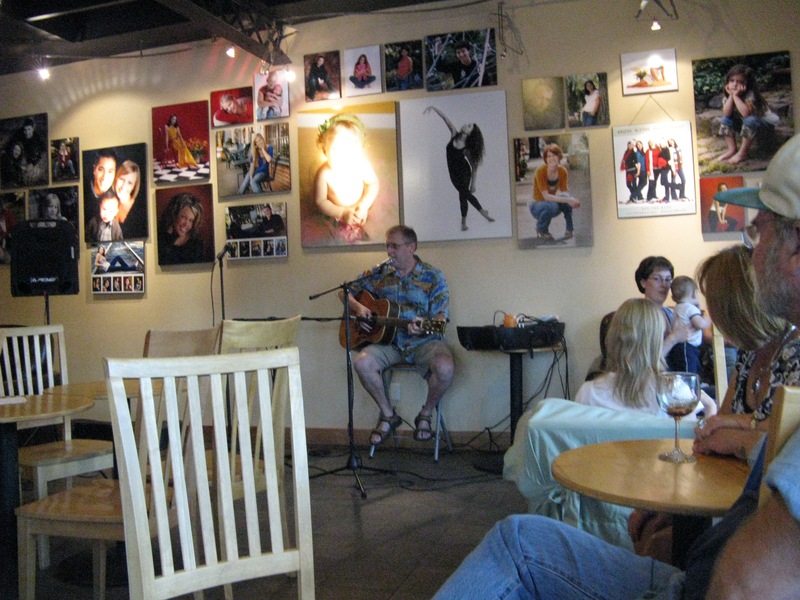 The Dugout Deli in Hillsboro, Oregon.